STELLA COLLINS, 93, passed away from natural causes on Friday, October 28, 2016. 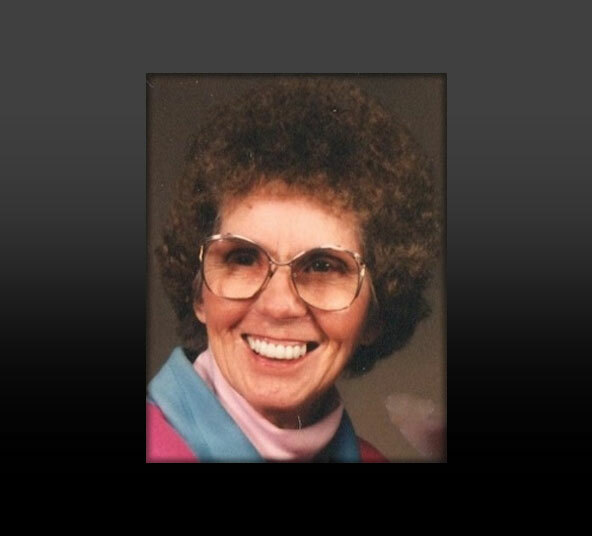 Stella was born in Nampa Idaho, but has lived in Pocatello since moving here in 1955 with her husband, Jack, and three children, Clark, Dan and Kristine. Their youngest son, Kelly, was born in Pocatello in 1959. In her youth she was an avid horseback rider along with her older sister Marie who preceded her in death. They often rode their horses cross country to visit family and friends. Their horses were trained to stay put by just laying their reins on the ground. Stella tells of an incident when some boys came along and were going to jump on the horses and ride them away. The horses laid their ears back and bared their teeth. The boys took the warning and left them alone. Stella had a close call in her early 30s. She was at the Idaho State Fair in Boise and there was a trailer there inviting people to have a free chest X-ray. At that time there was no concern about the health risk of excessive X-ray exposure. Shoe stores even had machines to X-ray your feet to check the fit of your shoes. The X-ray showed a large tumor in her chest. The tumor was removed and tested benign, but it was about to encircle her heart. It could have been inoperable had it not been detected before that happened. In her late 40s Stella learned to ride a motorcycle on our local trails with Jack and their oldest son Clark and his family. She had never learned to ride a bicycle in her youth so that was quite a challenge. Though she was afraid of heights Stella became a very good trail rider. Unfortunately she crashed and hurt her shoulder in her 60s and lost her confidence on the dirt bike. She was quite depressed about this, but Jack bought her an ATV and she kept riding into her 90s. Jack also switched to an ATV and their second son, Dan who also rides ATVs, moved to Pocatello. All the Collins’s are members of the Pocatello Trail Machine Association (PTMA). Camping and riding with the PTMA kept Stella young and active. Stella also started snowmobiling with Jack in the early 90s. On her 80th birthday the family went on an 80 mile snowmobile ride to celebrate. Her youngest son Kelly, who was a navy seal, was worn out after that ride, but Stella was still going strong. Unfortunately Jack passed away in 2011, but she continued snowmobiling with family on the excellent trails in the Pocatello area until just a few years ago. Stella was an accomplished artist and had several of her drawings published in the newspaper when she was in school. Horses were her specialty and in later years she did several oil paintings featuring them. Stella was also an excellent seamstress making fancy costumes for dance recitals and other events. She even made a wedding dress from scratch, in three days, for her daughter-in-law Rita when she married Clark. Stella had a full active life and has been cremated as per her wishes. Her ashes will be combined with Jacks and scattered on some of their favorite trails at a later date.